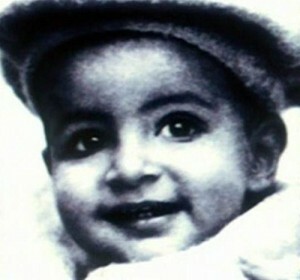 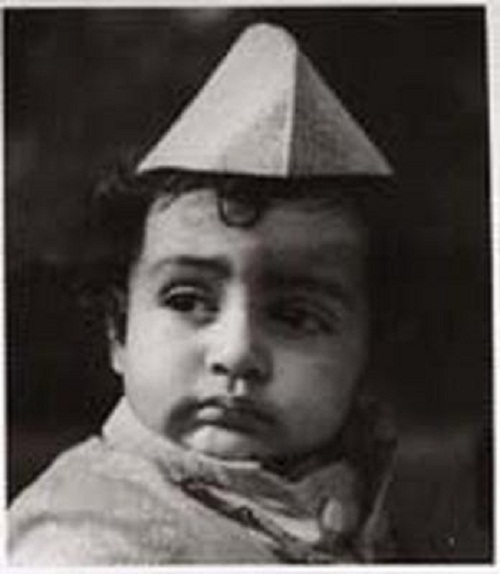 Amitabh Bachchan was born on 11th October 1942 in Allahabad, Uttar Pradesh. He attended Sherwood College, Nainital and Kirori Mal College, Delhi University. 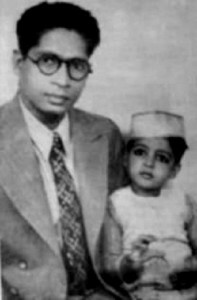 His first birth name was Inquilaab Shrivastava but later his father changed the name to Amitabh Bachchan which means “light that will never die”. He made his acting debut with Bollywood film Saat Hindustani in 1969 co-starring Utpal Dutt and Madhu. He become superstar of Bollywood after blockbuster hits like Zanjeer, Abhimaan, Deewaar, Sholay, Kabhie Kabhie, Adalat, among other films. 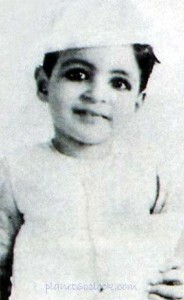 During his several decades film career he won three National Film Awards, numerous Filmfare Awards, Padma Shri Award and Padma Bhushan Award. 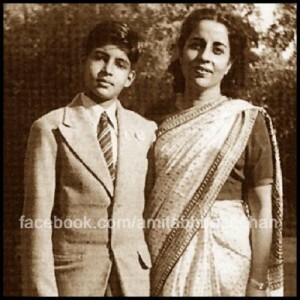 After unsuccessful venture with his production company Amitabh Bachchan Corporation, Ltd he entered TV shows. 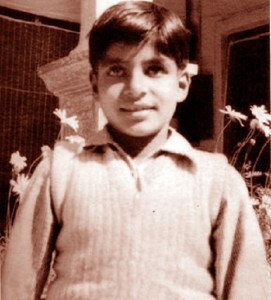 His first TV show was Kaun Banega Crorepati in 2000. 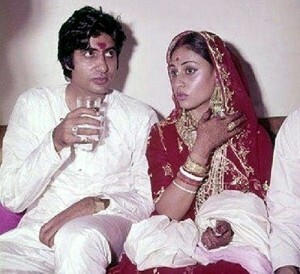 He went on to host the subsequent seasons of game show. 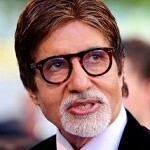 It was the Indian adaptation of the British television game show, Who Wants to Be a Millionaire?. 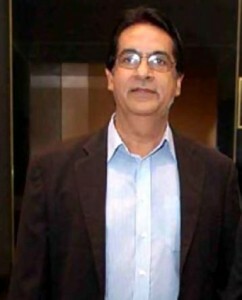 He hosted the third season of Bigg Boss in 2009. He was born to Harivansh Rai Bachchan, a poet and Teji Bachchan, house wife. 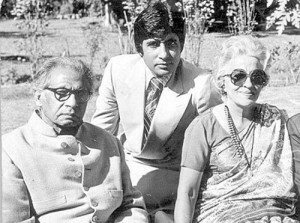 His father died in 2003 and mother in 2007. His mother turned down the offer to act in films when she was young in order to concentrate on her household duties. She used to help Amitabh Bachchan in choosing his film characters. 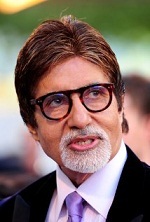 Ajitabh Bachchan is his younger brother. 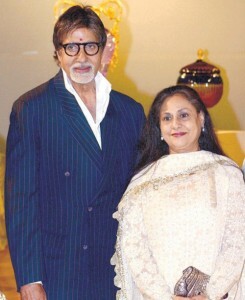 He is married to actress Jaya Bhaduri since 1973. 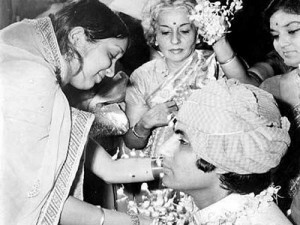 She was born 1948 Jabalpur, Madhya Pradesh into a Hindu Bengali family. 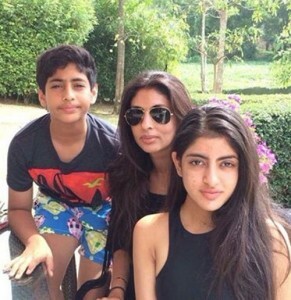 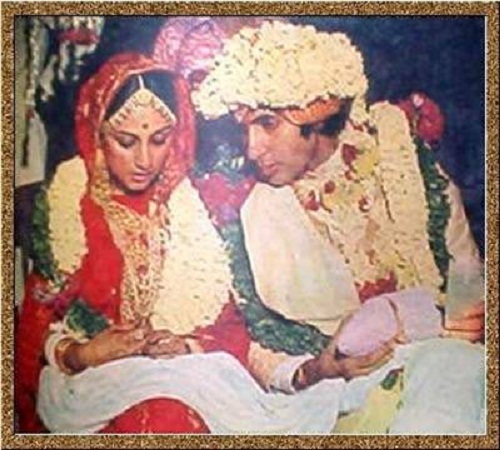 The couple gave birth to two children Shweta Nanda and Abhishek Bachchan. 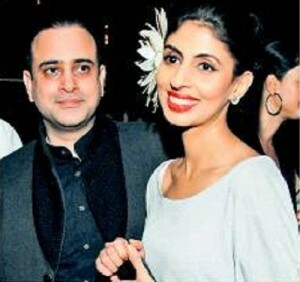 Shweta Nanda is married to Nikhil Nanda, an industrialist and the couple have two children named Navya Naveli and Agastya Nanda. 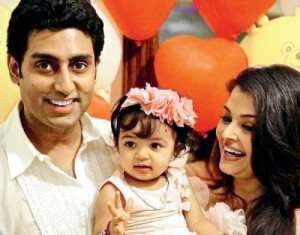 Abhishek Bachchan is married to Bollywood actress Aishwarya Rai and the couple gave birth to a daughter named Aaradhya Bachchan.